I saw a Recipe on the Internet, went shopping for the ingredients, came home, started cooking - All geared up in my apron and a chef's hat. Yet, I did not get the proportions correct and failed to please my parents palate. A common tiresome mistake / disaster we all experience while cooking. Right? This is exactly when 'Cook Gourmet' contacted and asked me to place an order for their Magical Box. Co-incidence or did they read my mind? I have been searching for boxes that are fully equipped with the correct Ingredients, Recipe and Proportions. 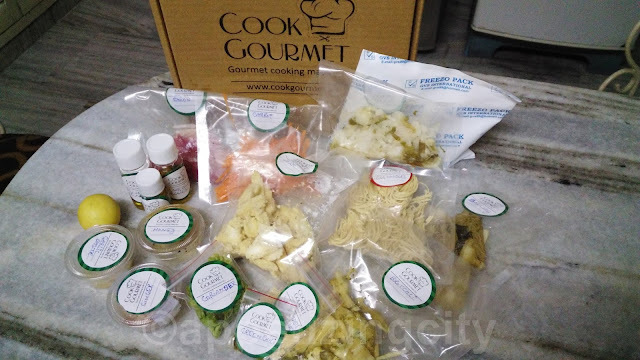 For people who like to experiment in their Kitchen (dressed like a chef, like me) with Food, Cook Gourmet comes handy with their Magical Box. The box contains all the Ingredients of the dish you order from their listed cuisines, a Recipe Card, Portion Size, Preparation Time and the Calorie Intake. So the next time you have friends at home or loved ones visiting and do not know what to cook? 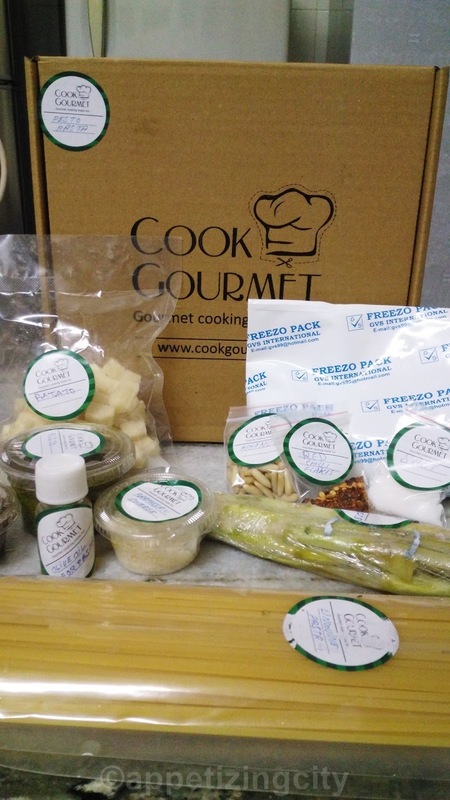 Order the Magical Box from Cook Gourmet! The menu at Cook Gourmet is interesting and innovative. Its designed in such a way that health conscious freaks can enjoy a wholesome gourmet meal as well. Thukpa is a famous Tibetan Noodle Soup which originated from the eastern part of Tibet, Nepal. With Cook Gourmet version of a vegetable Thukpa, they add a plethora of greens and veggies to the dish to give color, zing and healthy. Carrots, Broccoli, Baby Corn and Bok Choy are cooked with garlic, honey and soy sauce. 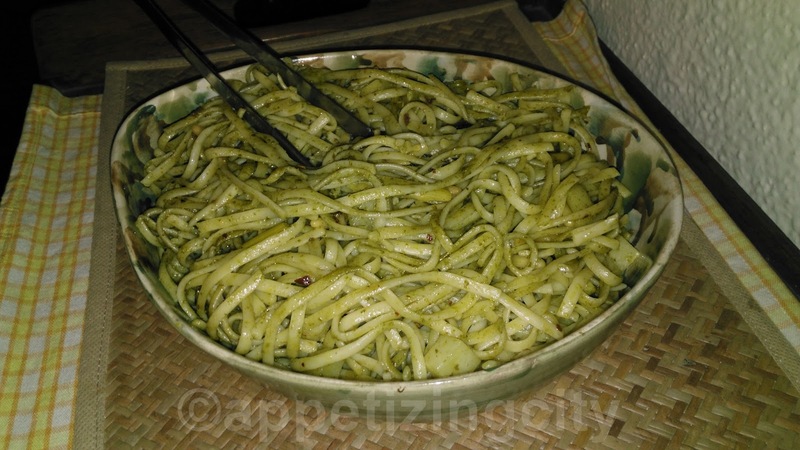 Cook Noodles to 1 liter boiling water with 2 tablespoon olive oil and 1 teaspoon of salt (which is not provided). Cook for 3 minutes, drain under cold water and set aside. In another pan, heat 2 tablespoon oil on high heat, add chopped onion, green onion, carrots, ginger, garlic, green chilli, broccoli, coriander (half), baby corn and boy choy with 1/4 teaspoon of salt(not provided) and 1/4 teaspoon black pepper (not provided). Cook all the Vegetables for 5 minutes on high heat. Dissolve vegetable Aromat Powder in 2 cups of water (480ml), add it to the vegetables and mix well for 30 seconds on high flame. Now, squeeze in 1/2 lemon, soy sauce and honey. Cook on high heat for another 2 minutes and add the egg noodles. Stir for a minute and take off the heat. You can check seasoning, add more salt & pepper according to preference. 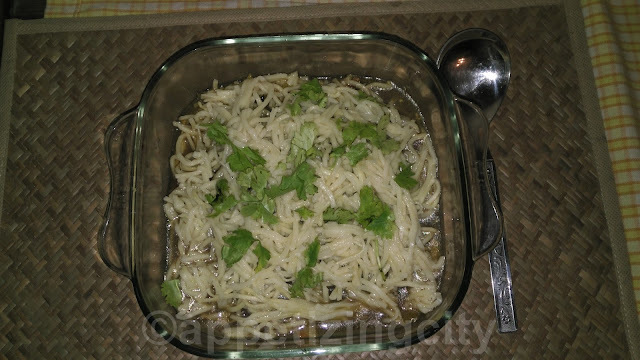 Transfer to a bowl, garnish with the remaining Coriander Leaves and Serve. -- I was surprised that I too can cook like a Chef (winks). Vegetables cooked well, seasonings were apt, exact proportion and tasted excellent. A favorite pick from the Tibetan Cuisine, Thukpa is a must try. Everyone says Pasta cooking is easy. However, at Cook Gourmet, you will find a bit of an unusual angle and make it your signature dish. All you need is Water and a Saucepan. In a saucepan bring 2 liters of water to boil, add Linguine Pasta and cook for 11 to 12 minutes until pasta is tender. Drain Pasta and add Olive oil so that Pasta does not stick. In another saucepan, place Potatoes and 1 teaspoon of salt. Add enough cold water to cover. Bring the potatoes to a boil, reduce heat and simmer for 15 minutes. Add Asparagus to the simmering potatoes and cook for 5 minutes. Drain the potatoes and asparagus in a colander / strainer and let them cool. Now, place hot Pasta in a large bowl, add Potatoes, Asparagus, Pesto, Parmesan Cheese, Chili Flakes, Pinenuts and Cranberry Glaze. Toss to combine all and Serve Hot. -- Truly a signature dish. Not everyone can have a Pesto Pasta. You need to have the palate for this. An exceptional Pasta, indeed! Thank you Cook Gourmet, for the wonderful experience. I shall order more soon. They are Available on Facebook, Twitter & Instagram as well.